My first highlight was in the 1960’s when I did some courting in the pubs of Roberttown. It wasn’t only the romance but the Chicken and Chips in a basket that made the trip worth the effort. The only alternative food and beer combo was at Bernie Inns or posh eating places without the beer. Roberttown has a long tradition for hospitality. 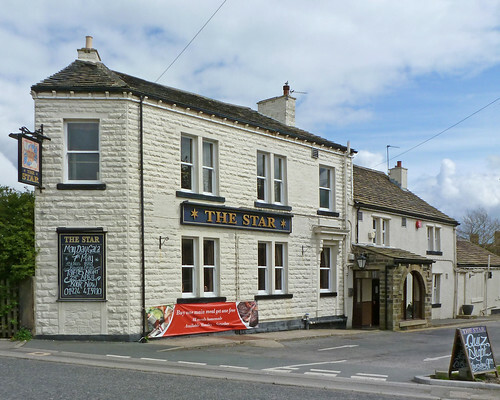 Stage coaches stopped at the bar house on the turnpike road but the famous footpad and highwayman ‘Swift Nick’ Nevison lurked around the area. In the 1840’s 250,000 Chartists met on the common to protest about the economic depression (not much different then). The Roberttown races were held over three days in midsummer and the men of the turf were accommodated at the Star and in local cottages. The Yorkshire Robin Hood Society, have been campaigning since the 1980’s to allow public access to Robin Hood’s Grave on the Kirklees Estate. The grave at The Priory Garden Kirklees Park is only six hundred yards from the gatehouse but it was enclosed in iron railings in the nineteenth century. Today it is neglected, overgrown and little known to the general public with access aggressively prevented by the current owners. There is a fear of unsuitable redevelopment without taking this historic site into consideration. Read more from the fascinating site of The Yorkshire Robin Hood Society. John Wesley made many visits to Roberttown to support the poor and hard working spinners and weavers. To celebrate 100 years of methodism the chaple was built in 1830. 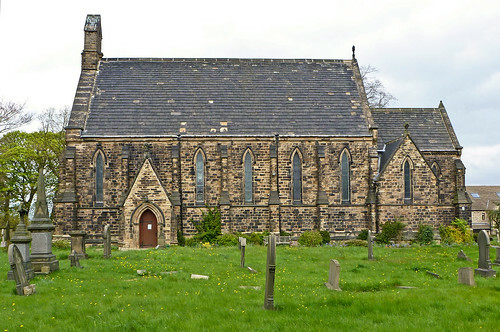 All Saints Church was the vision of the Reverend Hammond Roberson and was consecrated in 1845. 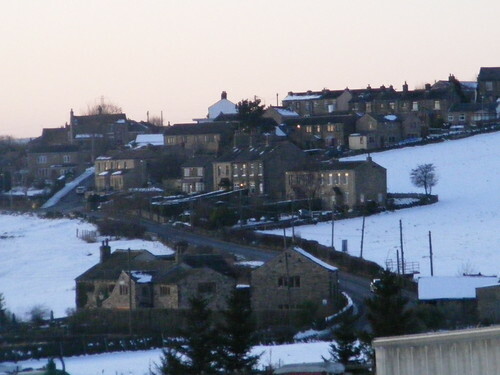 Two hundred years ago Robertown was a hamlet in the township of Liversedge in the parish of Birstall.